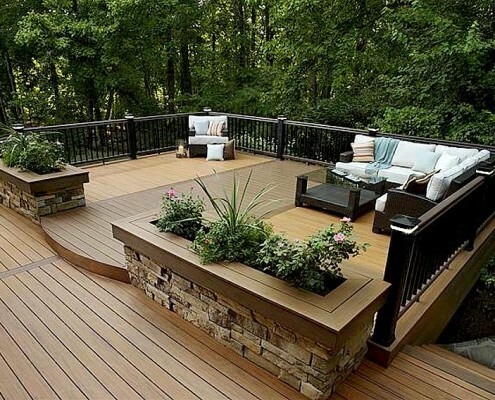 Amazingly beautiful. 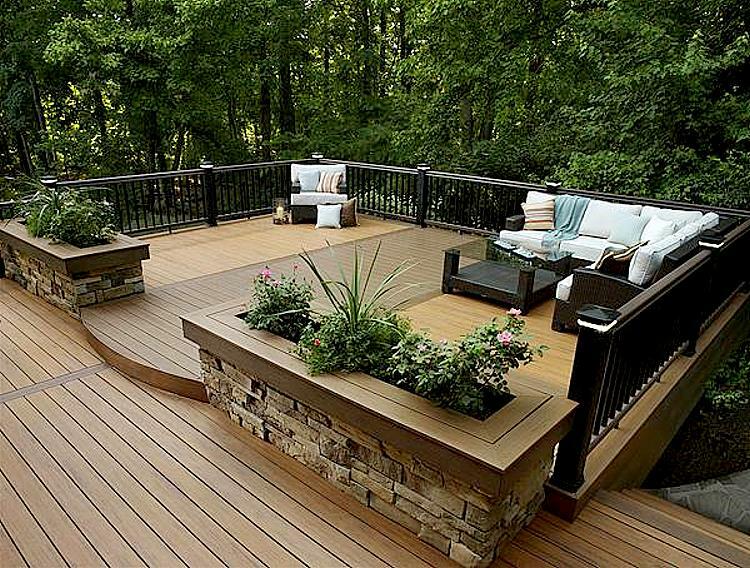 Ridiculously rugged. 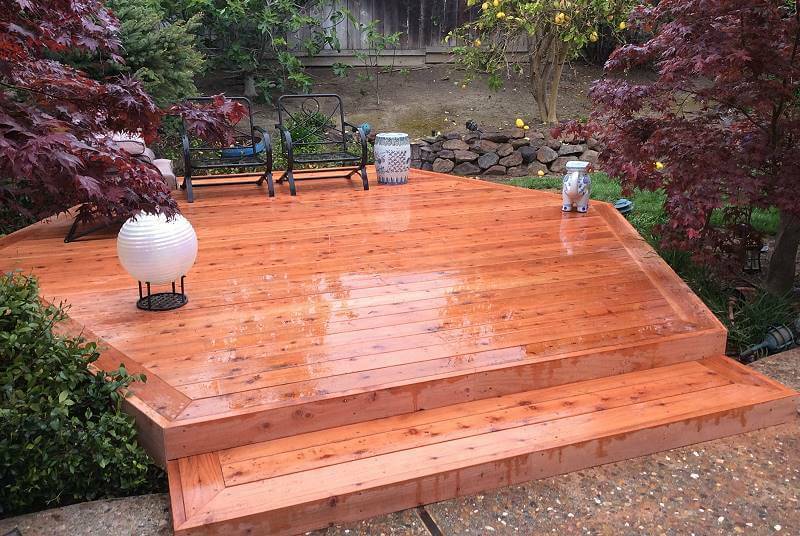 Incredibly low maintenance. 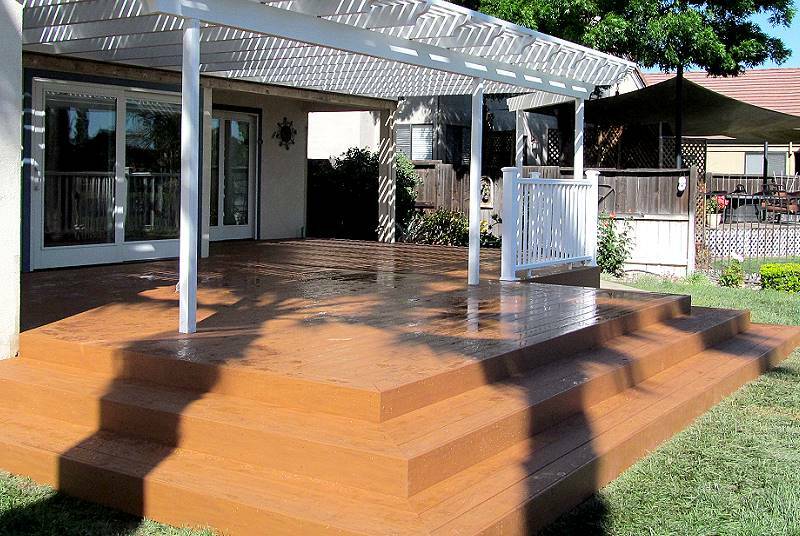 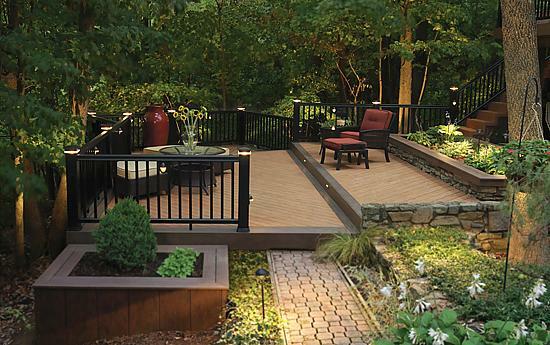 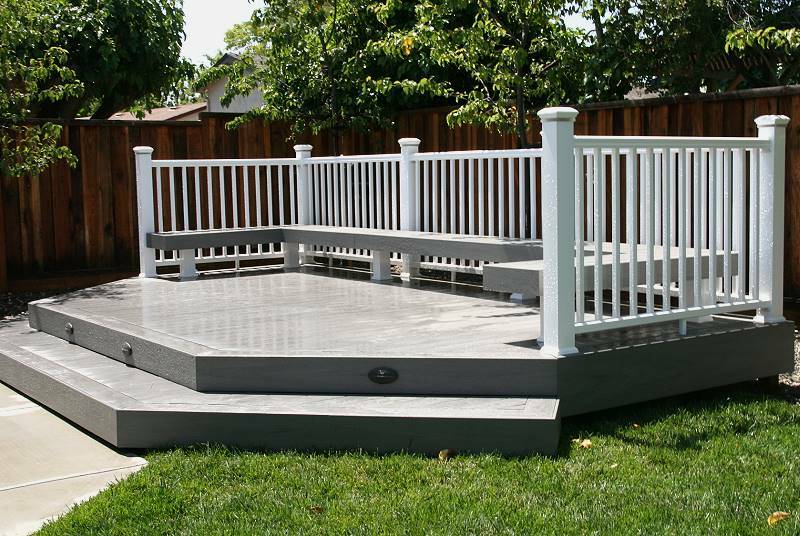 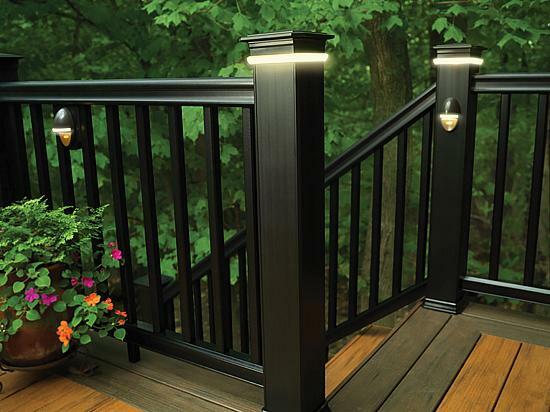 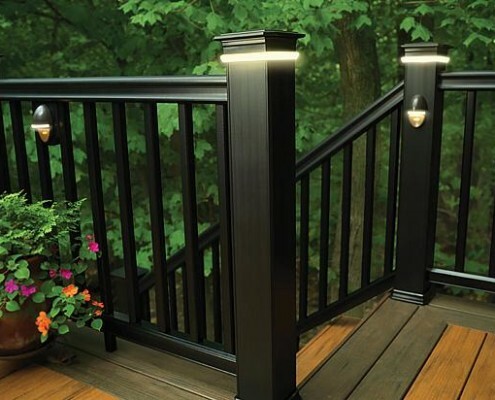 Composite decking is the newest, most innovative decking product for your backyard enjoyment. 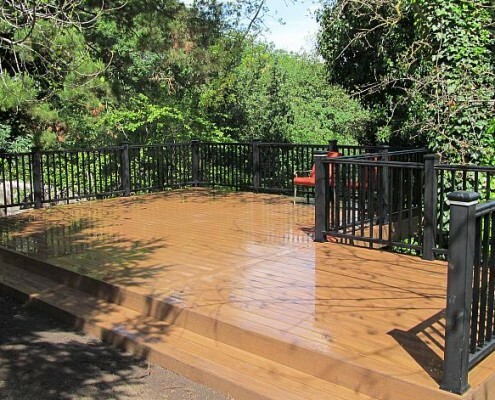 No cracking, no splintering, no mildew and stain resistant, composite decking is the ultimate in performance and peace of mind. 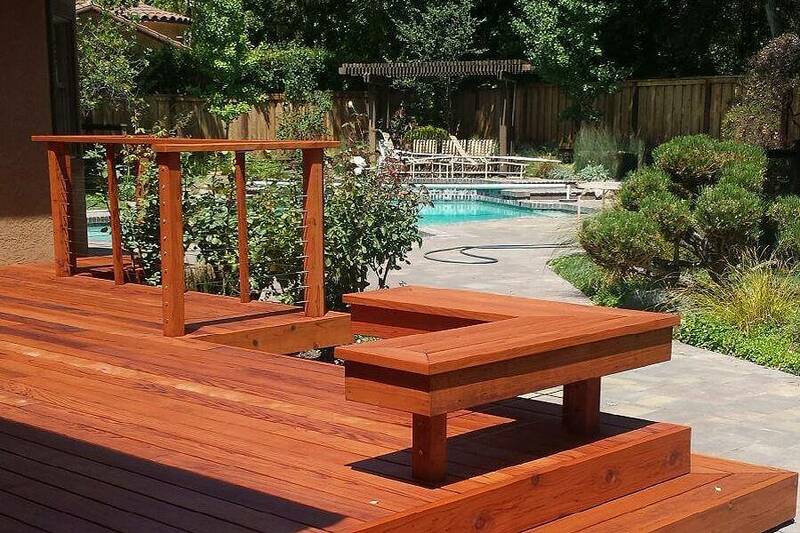 Let A & J Fencing custom design and build your new outdoor living space, where you can escape from the daily grind. 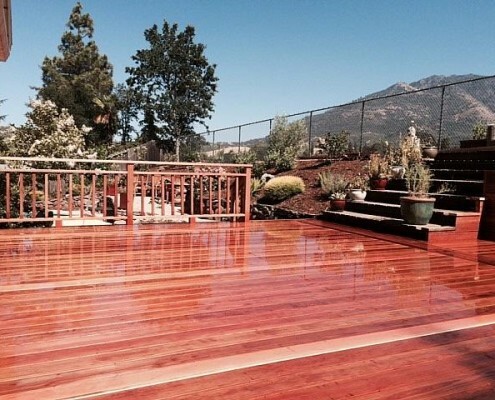 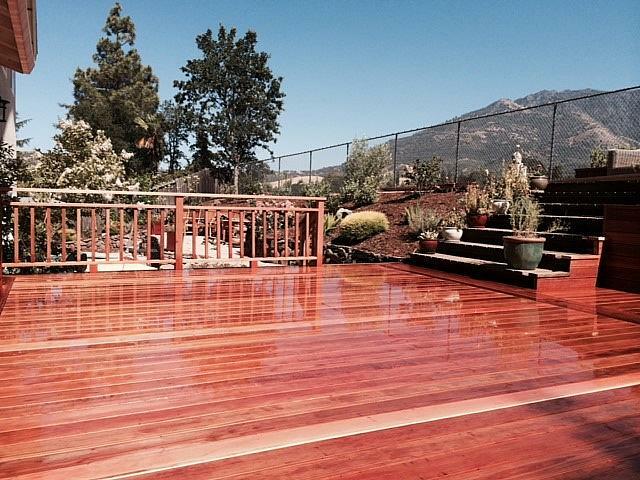 Redwood decks are a beautiful accent to any home, the rich color, the solid feel, the detailed grain all amount to years of enjoyment and appreciation. 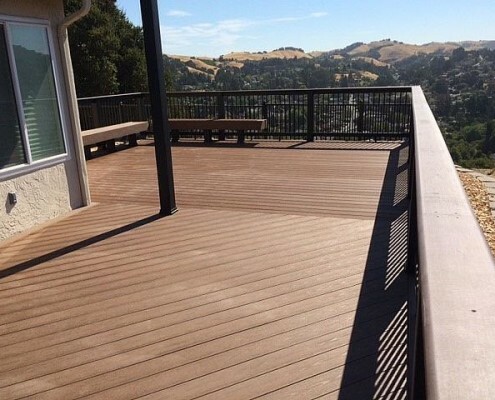 A wonderful choice for decks, redwood is economical and naturally resilient to the damaging effects of aging and the elements. 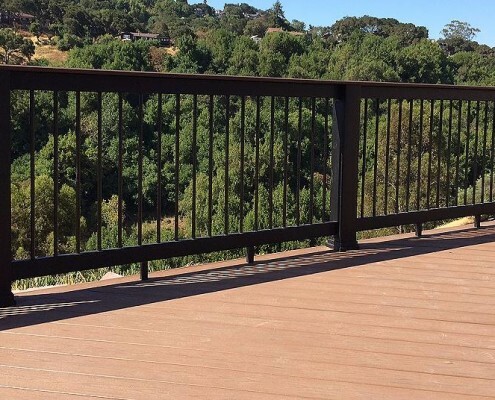 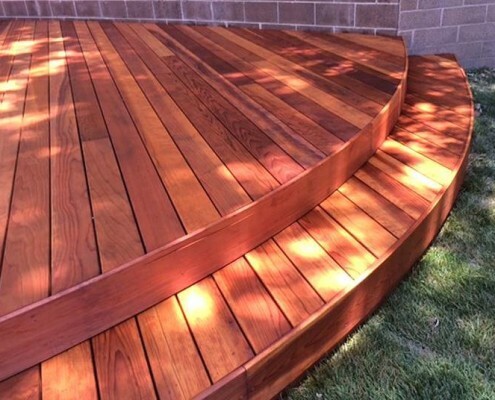 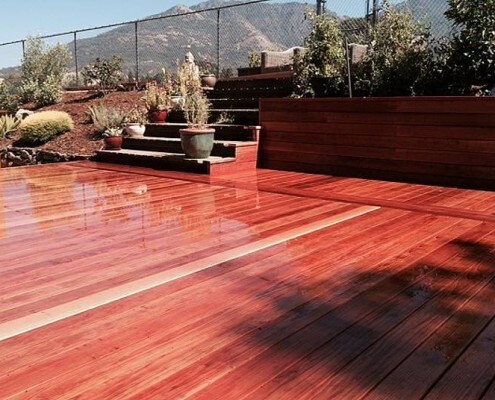 Shown to resist shrinking and warping, while naturally insect and decay resistant, redwood decks maintain their beauty and integrity much longer than other types of wood decks. 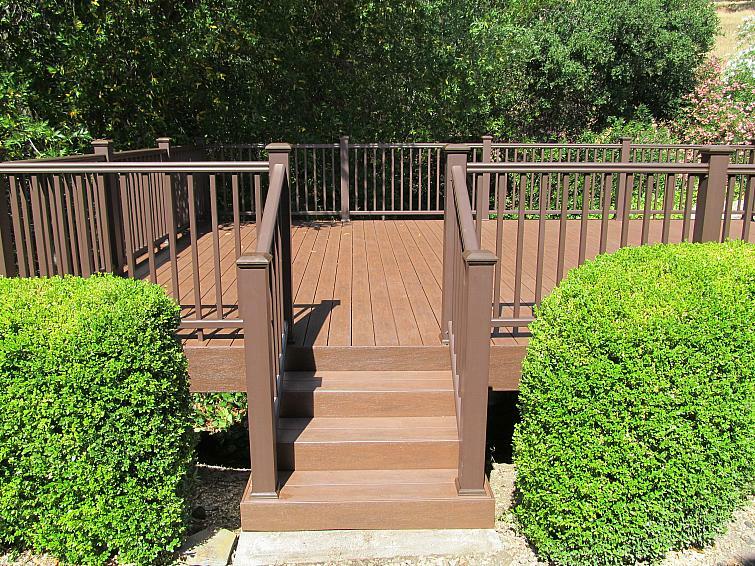 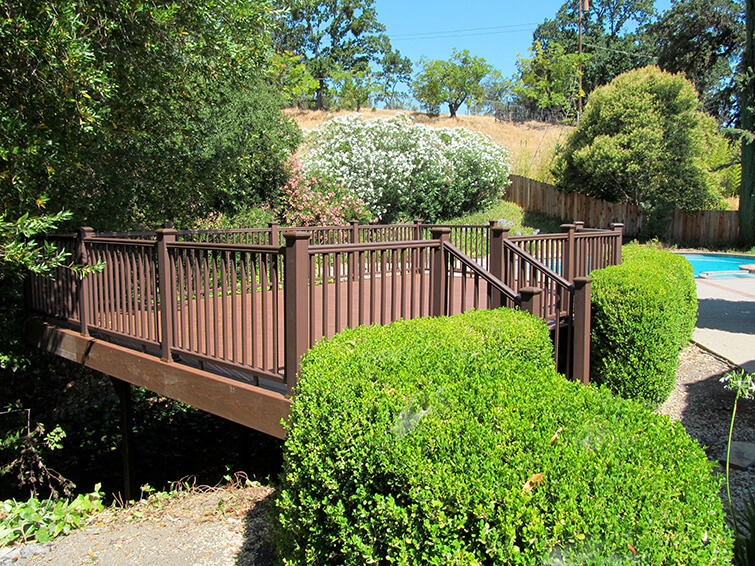 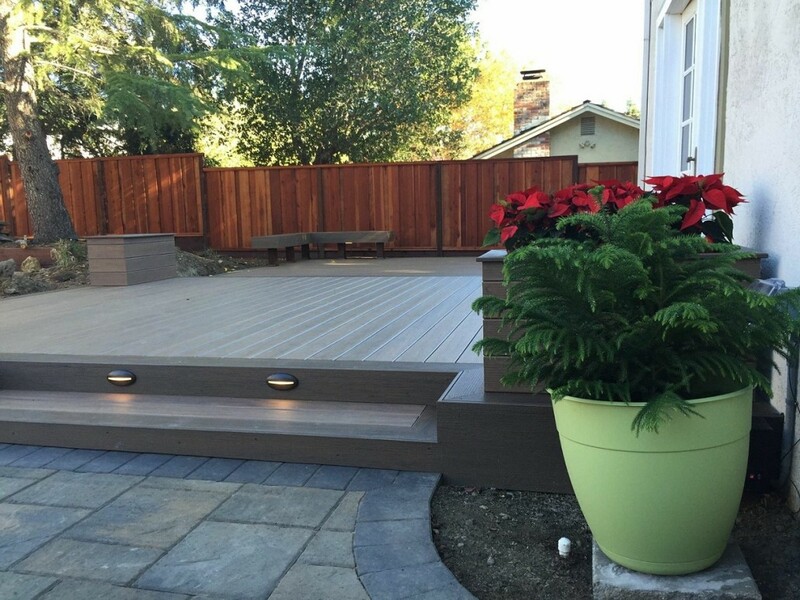 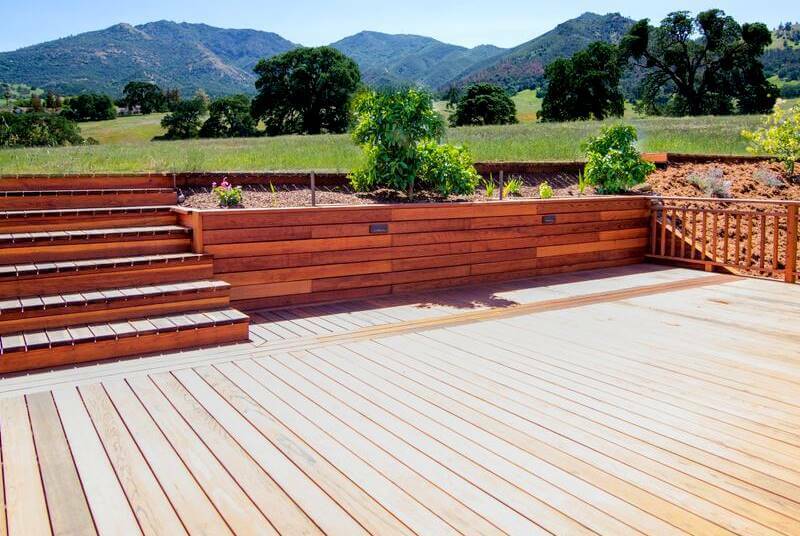 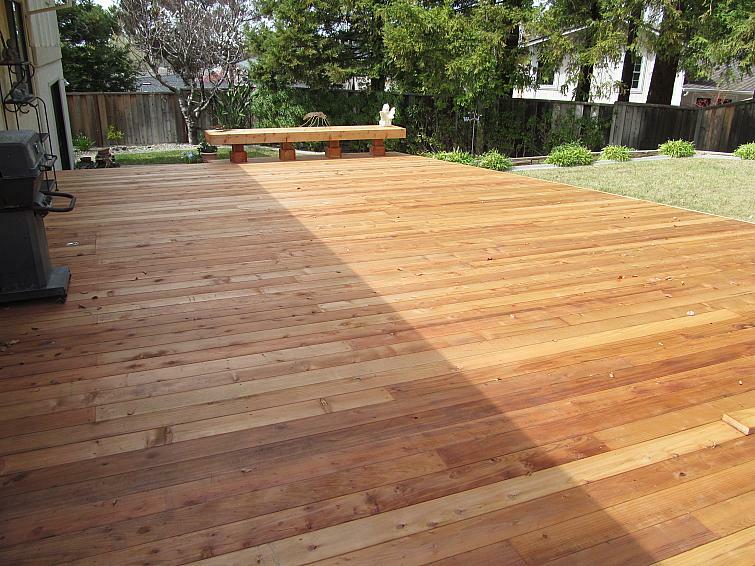 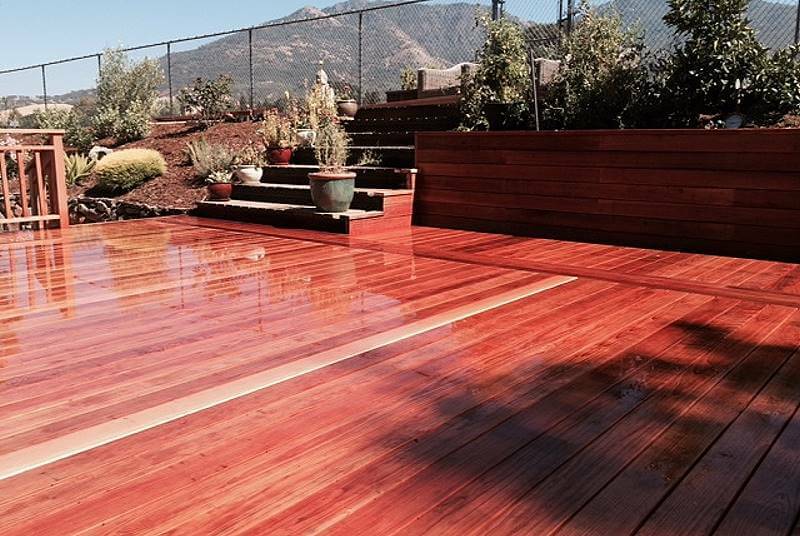 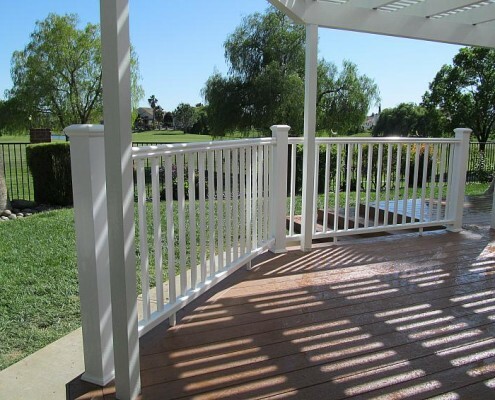 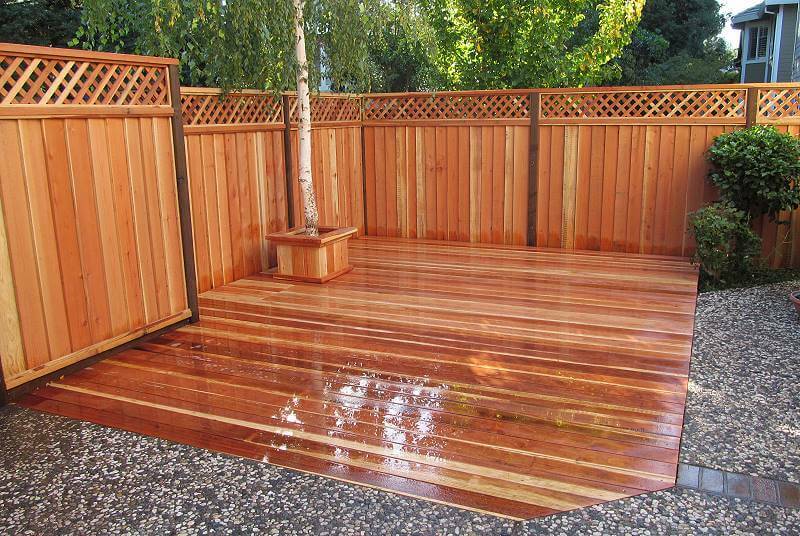 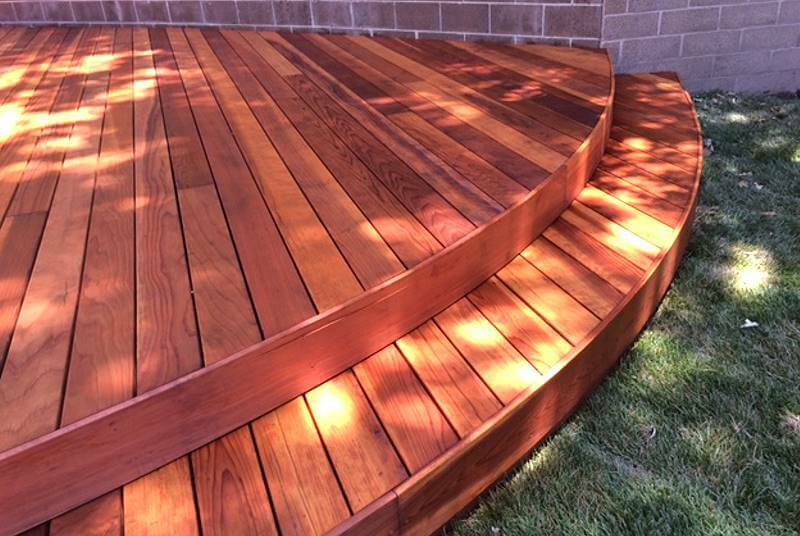 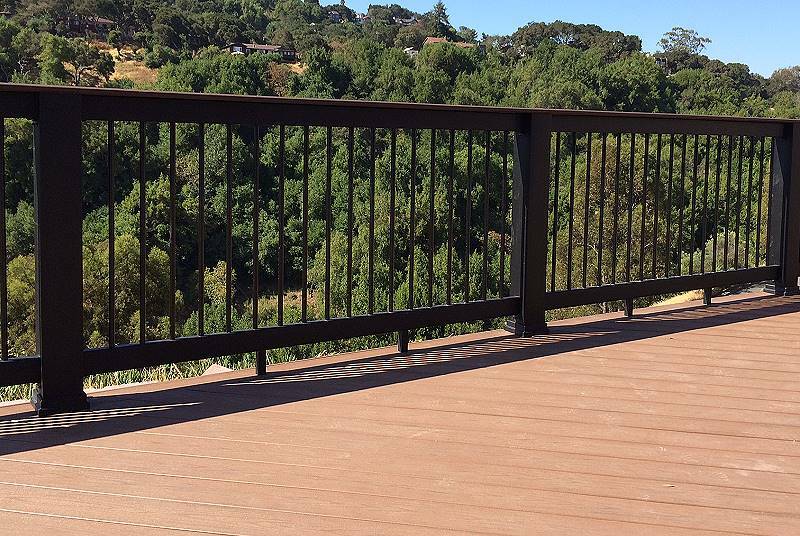 A & J Fencing uses only the finest quality redwood for their decks and fencing. 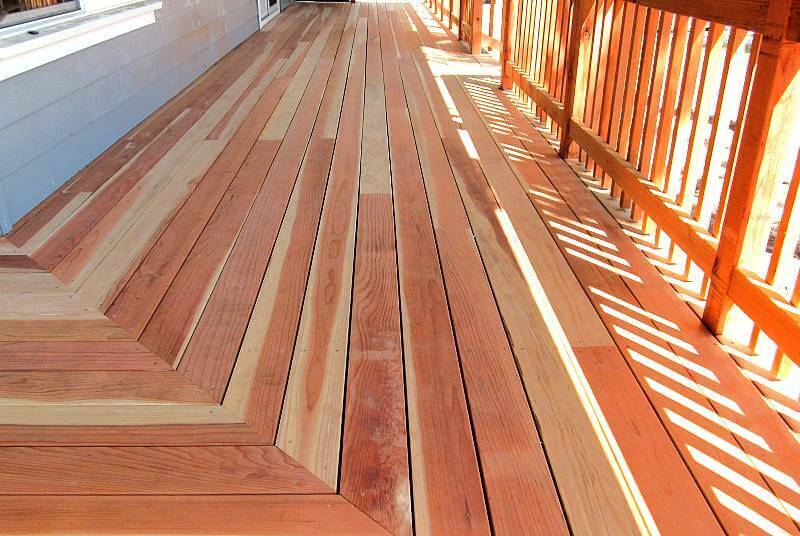 We hand select all of the wood for your deck to ensure a beautiful grain. 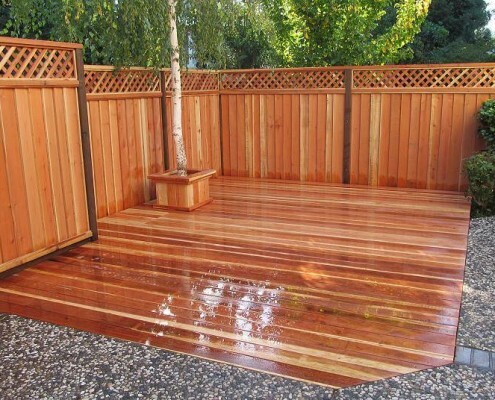 Contact A & J Fencing to get a free estimate on a redwood deck. 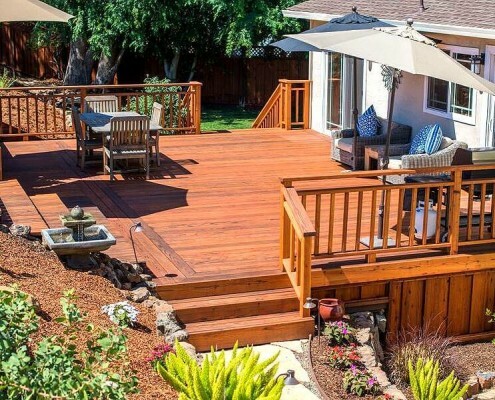 One of our project managers will come to your property, evaluate your project, provide valuable input and put together an estimate. 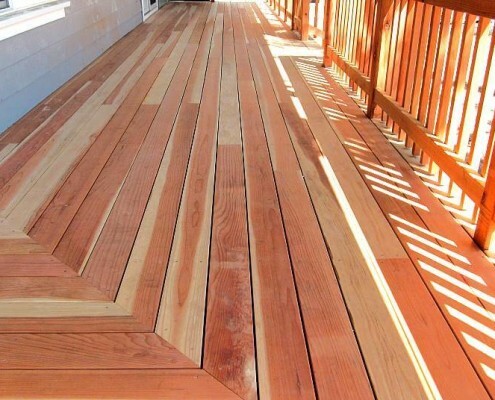 Come visit our decking showroom! 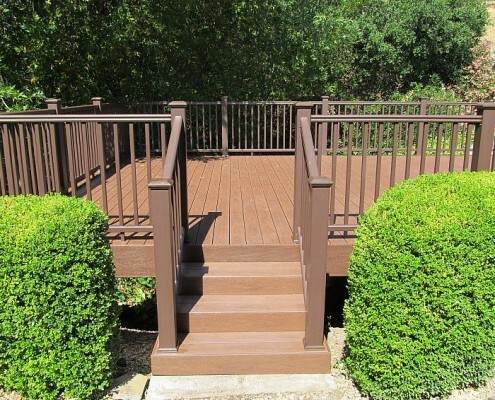 Our showroom has an assortment of decking and fences on display. 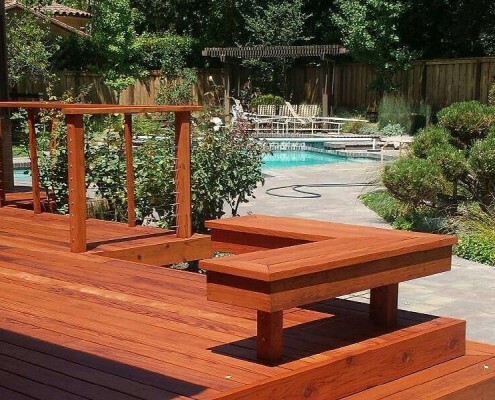 Schedule a one on one appointment with our deck specialist and he’ll help you choose the right style, color or decking option that fit your backyard needs. 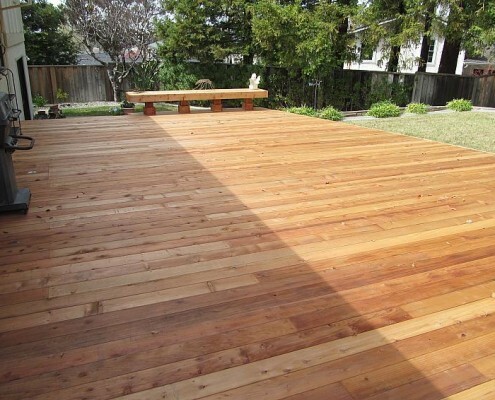 I have been in the construction industry most of my life. 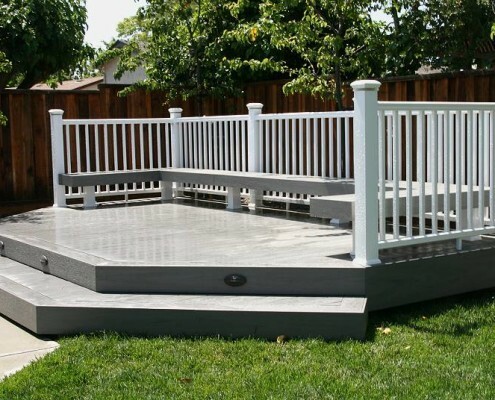 When I was younger I spent every summer working for our family’s construction company. 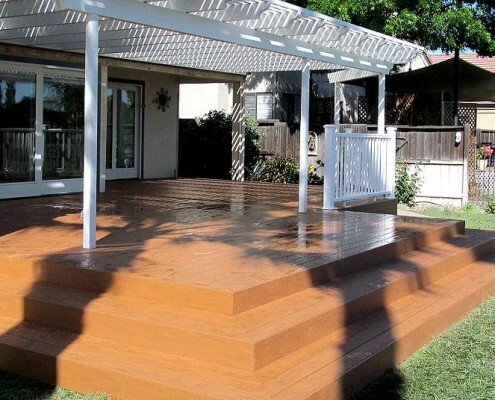 My days consisted of working hard and learning all there was to learn about construction. 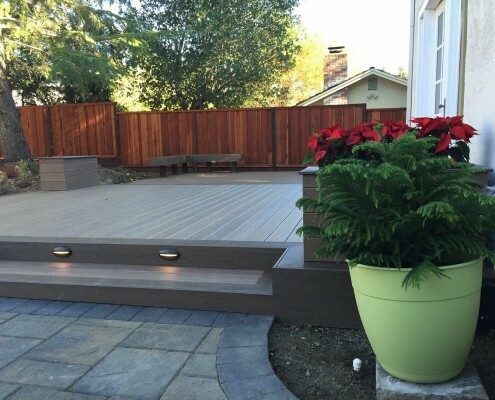 My ultimate goal was to become an honest and successful landscape contractor. 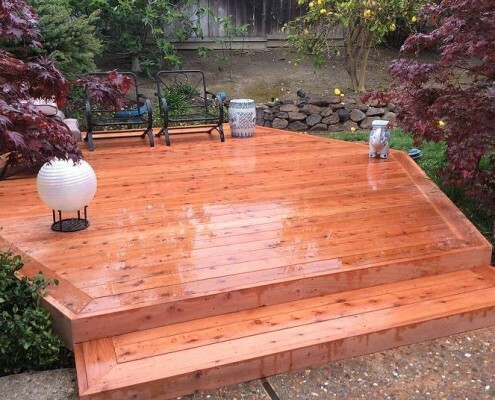 I took all the knowledge I’d learned over the years and decided it was time to take it to the next level. 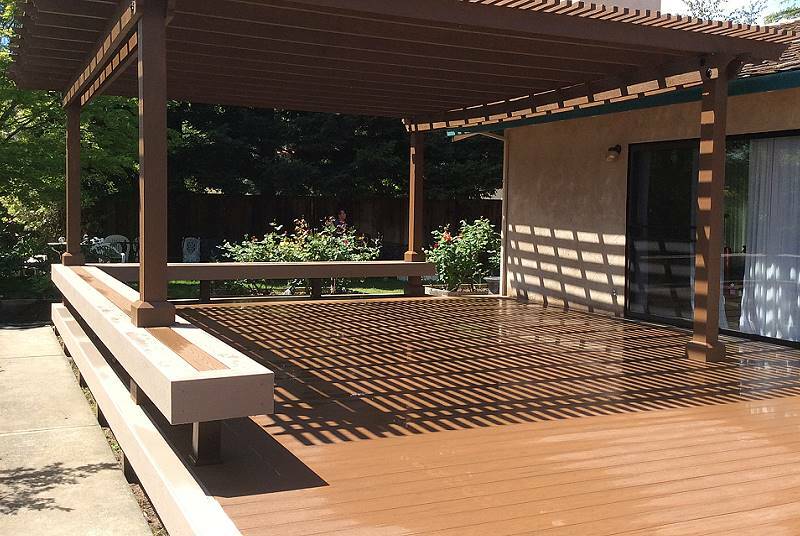 After graduating high school, I went out on my own. 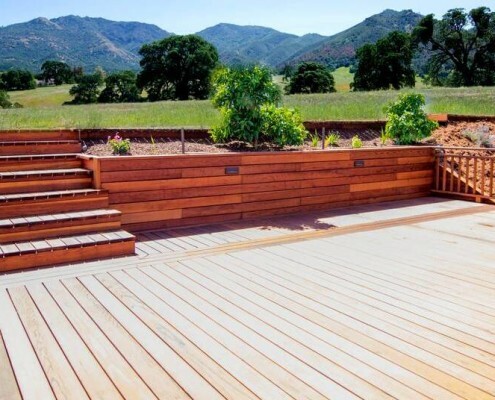 I received my C-27 Landscape license and started my own landscape company. 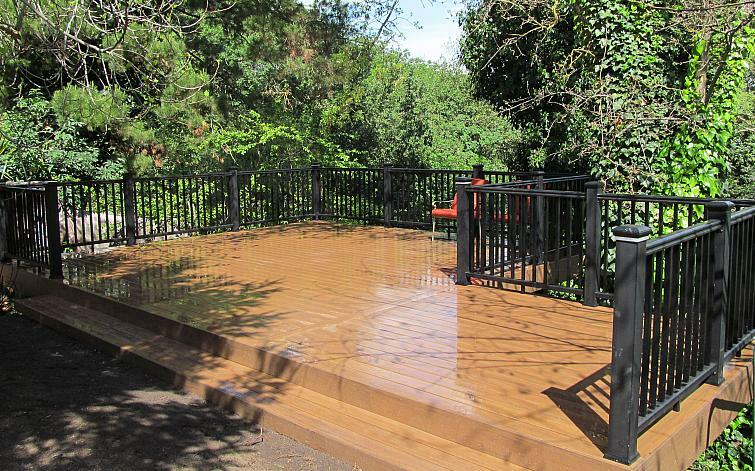 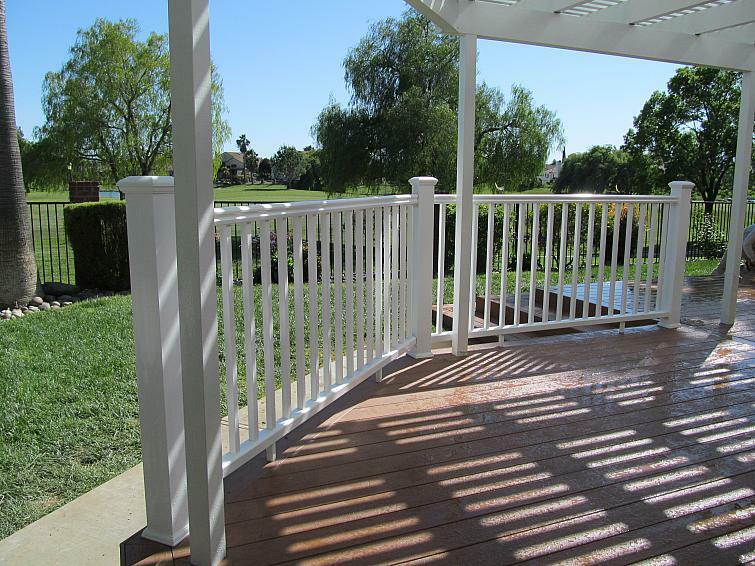 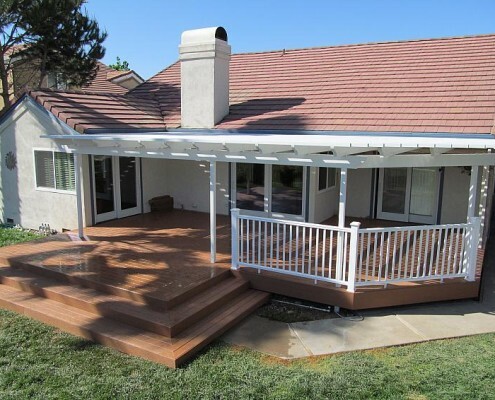 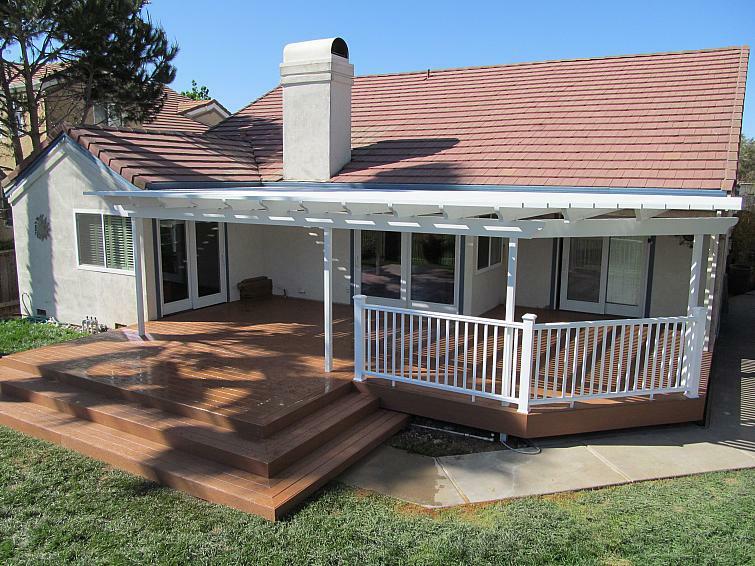 We did everything from landscape and maintenance to custom decks and arbors. 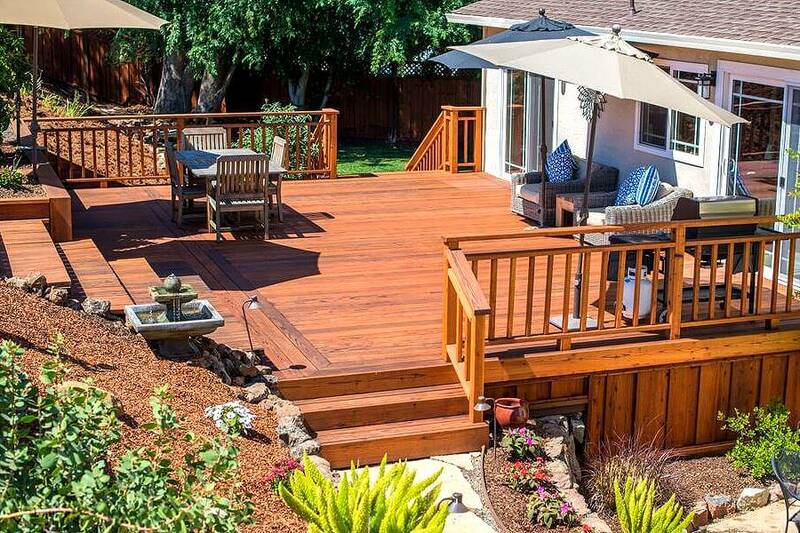 I’ve known the Lena family for years so when they presented me with an opportunity to run their Decking department, I was honored. 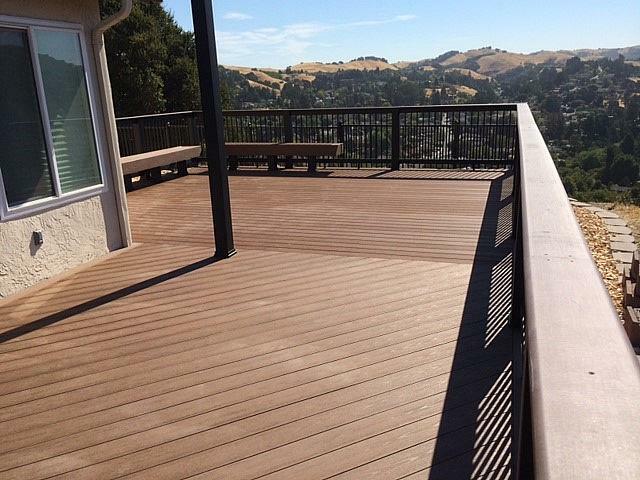 With all my hands on experience building, designing and customizing decks, I knew it would be a great fit. 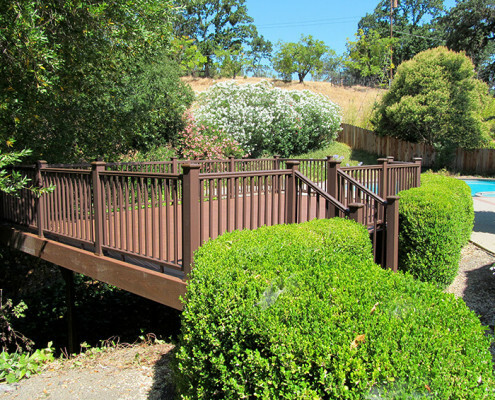 Since I’ve been with A & J Fencing I’ve become fully trained and educated on all Azek, Timbertech and Redwood Products. 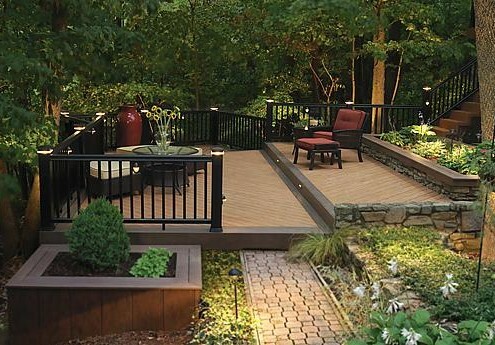 I’m certified through the CPG University and currently hold my C-27 Landscape License. 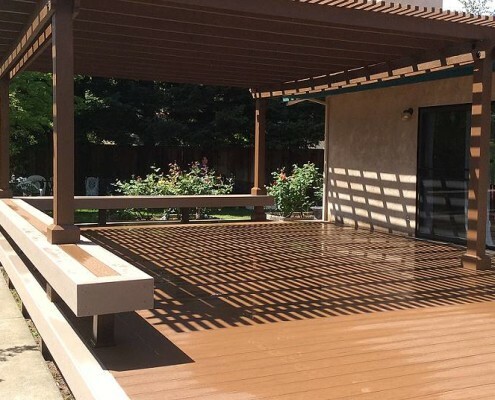 I’m actively maintaining all certifications and licenses as well as educating myself and my department on the current, most up to date products we can offer our customers.